I’m really trying to improve the curb appeal of our house. 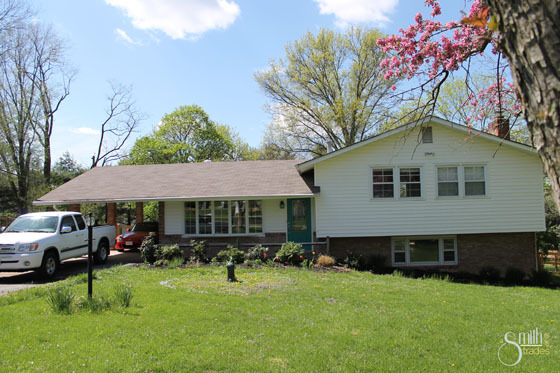 I don’t think the house is super cute on the outside, and the yard, well it needs a lot of love. We started boosting our curb appeal with our pretty new doors, but now that that project is complete it is time to move on to the next one. I won’t claim to know a lot about landscaping. In fact, I really struggle with it. Thankfully, my dad has a total green thumb and quite the eye for landscaping. He’s been telling me for a year now that we need to fix the rock bed that lines our driveway. If you look in the photo above, the rock bed is to the right of our truck… you probably can’t see it because it is covered in weeds. Yeah. My dad started on this project by himself last weekend, digging up about two feet of rocks and leaving them in our driveway while I worked on weeding in our backyard. A week in Indianapolis kept him away from the project all week, but Saturday night and Sunday afternoon, we went to town! It takes hours to dig out the rocks and separate them from the weeds and dirt. It’s tough on your back and rough on your hands, but the reward for the effort is certainly visible. 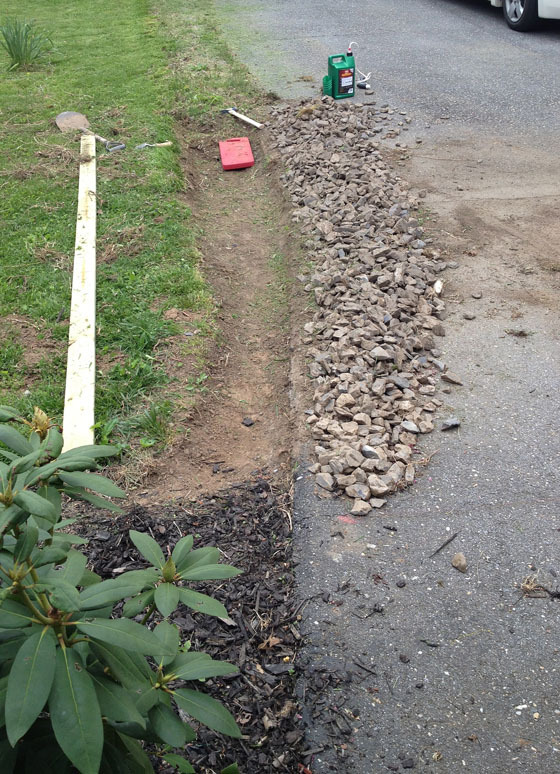 We only got about 16 feet completed, and have another 25 or so to do — thank goodness there is only about 3 feet of rocks on the other side of the driveway! 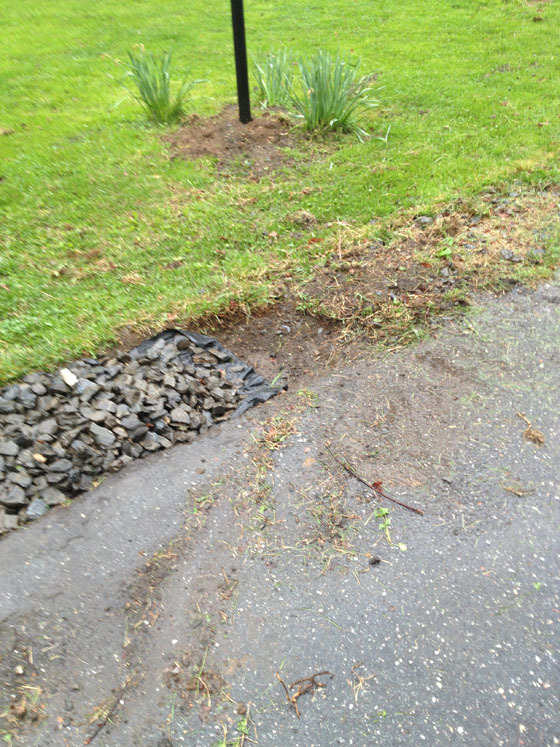 Anyway, once we dug out a large enough section of rocks, we sprayed the canal with weed killer and laid black garbage bags to act as a weed barrier. 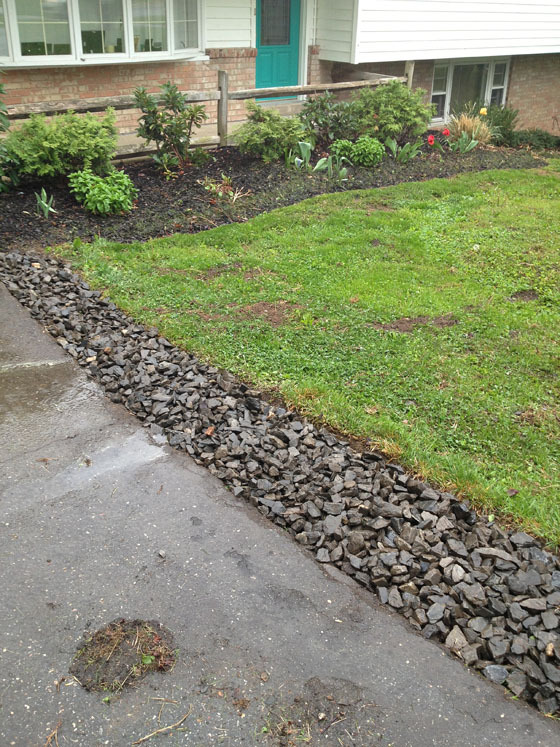 Then, we place all of the rocks back into the long section we’d dug out, keeping as much dirt out as possible. On the left is how the rocks should look, and on the right is the area we still haven’t touched. What a difference, huh? We only have about a third of the driveway done, but it sure looks a lot nicer! 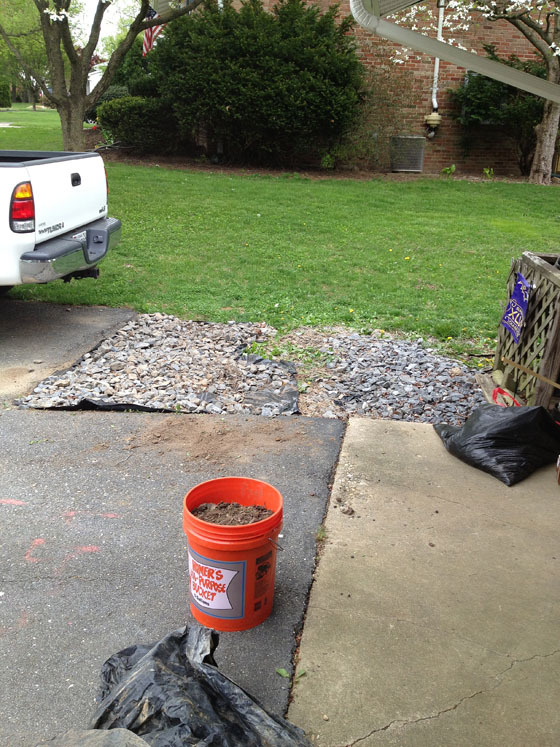 And, as if we hadn’t done enough with the rocks, we also decided to bring up some of the rocks in our backyard (we have several little rock beds running along our house) to continue our driveway behind our truck. There was already a section of rocks there, but there was about 4 feet of just dirt and no rocks. Many trips back and forth later, and that section is coming along nicely, too. My little brother was a huge help and was the main rock transporter for this project… that is until we found a snake and the world’s largest spider living in the rock pile. Understandably, he wasn’t too crazy about messing around with the rocks after that. I won’t be sad when the rock pile is gone and those critters are a little farther away from our house. Once this project is complete, I am hoping to tackle our crooked lamp post! That thing has been driving me crazy since we moved in a year ago.